Our kwartery is a great place to relax. Our offer is directed not only to tourists but also for skiers. 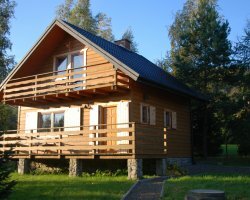 It is located a few kilometers from the ski lifts: Jaworzyna Krynicka, Wierchomla. Powroźnik Krynica Zdrój lies between a Muszyna, both cities are characterized by a very interesting history. 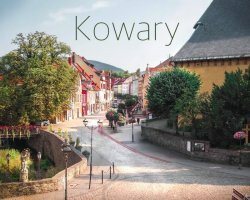 Krynica due to the presence of water treatment is called the Pearl of Polish Spas, while the Muszyna and the surrounding villages of wooden architecture trail runs. 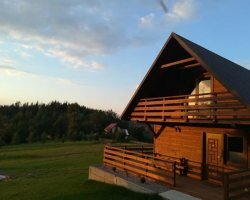 The big advantage of the location of our accommodation is of it is in a secluded place, which guarantees peace and quiet. The building that houses the rooms, is located approximately 50 m from the house where the owners live, so it is entirely at the disposal of tenants. The accommodation includes: 2 bathrooms (shower + toilet, bathtub), toilet, fully equipped kitchen. You can organize a barbecue or fire at the pavilion, which is next to the building.